The risk of having PSS is higher among people who were admitted to an intensive care unit (ICU) and for those who have been in the hospital for extended periods of time. PSS can affect people of any age, but a study from the University of Michigan Health System, published in 2010 the medical journal JAMA, found that older severe sepsis survivors were at higher risk for long-term cognitive impairment and physical problems than others their age who were treated for other illnesses. Their problems ranged from not being able to walk, even though they could before they became ill, to not being able to do everyday activities, such as bathing, toileting, or preparing meals. Changes in mental status can range from no longer being able to perform complicated tasks to not being able to remember everyday things. For some patients, the cause of their PSS is obvious. Blood clots and poor blood circulation while they were ill may have caused gangrene and the need for amputations of fingers, toes, or limbs. Damage to the lungs can affect breathing. For example, in another University of Michigan Health System study, published in 2012 in the journal Shock, researchers found that sepsis survivors may be more vulnerable to developing viral respiratory (lung) infections. Other organs may be damaged as well, such as the kidneys or liver. These lasting physical issues can be explained, but there is more to PSS that cannot yet be explained, such as the disabling fatigue and chronic pain that many survivors experience. Others complain of seemingly unrelated problems, like hair loss that may occur weeks after their discharge from the hospital. Many sepsis survivors also report symptoms of post-traumatic stress disorder (PTSD). Researchers have already recognized that ICU stays can trigger PTSD, which can last for years. In other words, healthy people may be expected to rebound quickly from such a serious illness, but healthier people may actually have the opposite experience. What can be done about PSS? Post-sepsis syndrome must be recognized by the doctors and other healthcare professionals who care for sepsis survivors so that patients can be directed to the proper resources. Resources may include referrals for emotional and psychological support (counseling, cognitive behavioral therapy or neuropsychiatric assessment) or for physical support such as physical therapy or neurorehabilitation. Some people who believe they have signs of PSS might find it difficult to speak to healthcare professionals about their problems. This letter, addressed to people who work in the healthcare field, helps explain some of the issues involved in PSS. If you feel this letter would be helpful, please feel free to print it out. What is post-ICU syndrome and is it the same thing as PSS? Post-ICU syndrome (PICS) is a recognized problem that can affect patients who have spent time in an intensive care unit or ICU, particularly if they have been sedated or placed on a ventilator. 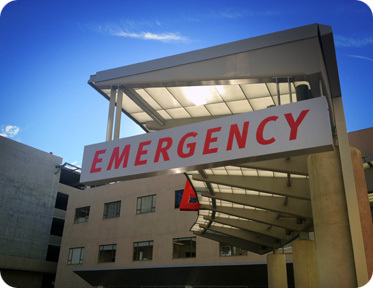 It is not unusual for someone in an ICU to become delirious – sometimes called ICU delirium. The longer a patient is in such a unit, the higher the risk of developing delirium or PICS. A study published in the New England Journal of Medicine found that some of these patients continued to have cognitive (mental) problems a year after discharge. The difference between PICS and PSS rests in the other issues that a sepsis survivor may experience, as PSS is not just a change in cognitive function.